Cycling as a form of exercise and transport has been there for decades. Ever since bicycles got in the 19th century, the number has grown to around one million worldwide. Bicycles have become the principal means of transport in almost every part of the world. This is because they are very flexible and effective for short to moderate distances. According to the internationally recognized athletic trainer Andy Pruitt, cycling is something you can enjoy regardless of your age and is as close as we can get to a lifelong sport. Bicycles provide numerous health benefits. Research conducted by Cyclists' Federation show that the bicycle is the most popular form of transport worldwide and that it benefits communities economically and environmentally. According to the research, the level of fitness in regular adult cyclists is equivalent to when the adults are ten years younger. Furthermore, people who cycle on average are likely to live two years longer than those who do not cycle, and they are less likely to fall sick by fifteen percent. Cycling as a form of exercise releases a group of peptide hormones referred to as endorphins. Endorphins act by reducing stress and improving our mental health. Apart from endorphins, cycling also releases serotonin. Serotonin is a natural mood stabilizer. It helps with sleeping, eating and digesting. Apart from these, serotonin is also involved in reducing depression, regulating anxiety, healing wounds, stimulating nausea and maintaining the health of bones. It is therefore advisable to add cycling to your treatment routines if you are suffering from mental health issues such as anxiety, depression, and stress. It will have a positive impact on your recovery. Cycling Tips: When cycling, wear a dress that is comfortable. This will prevent you from getting injuries, skin irritation or being annoyed by some clothes while cycling. Pay a visit to the nearest sports equipment store to find the best clothes that fit your body and taste. Cancer is a lifestyle disease that is preventable by controlling our lifestyles. Among the causes of cancer are; tobacco, excess alcohol, infections and lack of physical exercise. Therefore to prevent cancer, you need to stay away from taking excess alcohol and tobacco. All these causes were compounded by not engaging in physical exercise. Cycling as a form of physical exercise lowers the chances of getting cancer. Research also shows that regular exercise such as the one provided by cycling is capable of lowering the occurrence risk for cancer survivors. Cycling tips: Always consider your environment and use proper caution before cycling. For instance, it would be a danger to cycle in the evening or during a rainy day. Ensure you wear reflective clothing when riding at night. Also, you should ensure that your bike has lights when riding at night. Cycling provides all-around physical fitness. For instance, it extends to activities that improve balance. By improving your balance, cycling helps prevent falls and other injuries that may be serious. Cycling is therefore very important for adult cyclists as we are aware that balance deteriorates with age and we can become more susceptible to injuries. Good posture is important for everyone. Poor posture causes muscle and fatigue and may also stress your spine. Therefore by maintaining proper posture through cycling, you will be able to prevent all these. Cycling Tips: Ensure your bike fits your body type for safe and effective cycling techniques. One of the effective ways of burning calories is by cycling. 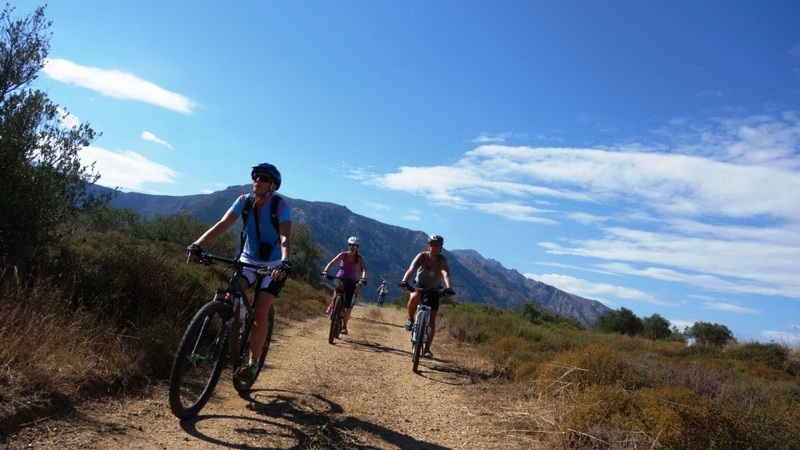 It is therefore advisable that you add cycling to your routines if you want to lose or maintain a healthy body weight. Research indicates that people who cycle are likely to reduce the weight around their waistline which is one of the critical areas as far as overall health is concerned. People of all ages can apply cycling in their weight management routines. For beginners, moderate cycling is recommended. Cycling Tips: For beginners, you can start slowly and at a moderate pace to improve your fitness level. To attain better stamina and strength, you can ride on a flat terrain for a shorter amount of time. With time, you can adjust your time. Cycling as an aerobic exercise challenges your muscle, and by doing that builds it. Peddling the bike, for instance, builds your lower body. Balancing and managing the bike, on the other hand, concentrates on the upper part of the body and core. Cycling also bolsters heart muscles which tend to lower resting pulse plus reducing fat blood levels. In turn, high blood pressure, the risk of stroke and heart attacks can get lowered. Cycling Tips: Always change your position. Changing positions will strengthen various muscles and ward off cramps. If you don't have a bike at the moment, now you have a reason to purchase one. You cannot afford to continue missing these health benefits especially if you have mental health issues like anxiety and depression. How To Clean A Road Bike – Guide From Expert Biker! Health Benefits of Bike Riding As A Student – Read Our Detailed Review! Things To Know Before Buying An Exercise Bike – Recommended By Experts! Top 10 Reasons You Should Get on a Bike – Recommended By Experts! How To Maintenance Mountain Bike – Tips and Technique From Expert! 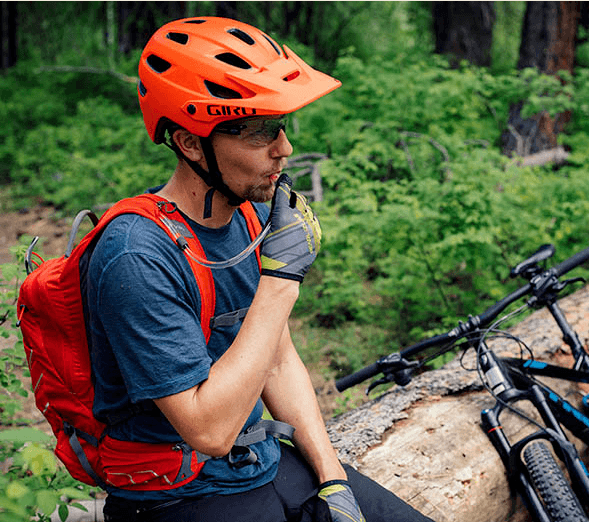 10 Hybrid Bike Accessories You Need to Buy – Recommend from Expert!